Montreal Park Pake is owned by the Holmesdale Angling and Conservation Society and is located off the A25 (Worship Hill and the junction of Witches Lane) through the new school. 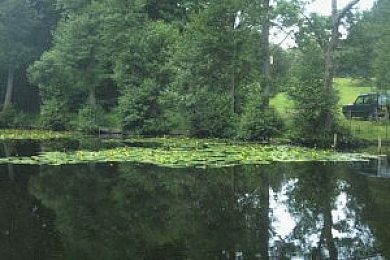 There are two lakes covering approximately 2 acres, which has seen much in the way of re-stocking over recent years. Stocks now includes crucian carp, roach, rudd, perch, tench, dkimmers and with a good number of small carp. Essentially a junior water who can fish unaccompanied, although its quite common to see senior members enjoying a "fun" day fishing. Depths may vary between 2 to 8 feet. Total number of rods that can be used on these lakes is 2 rods and no bait boats are allowed.